With these small projects we have embarked upon, we hope to continue informing, amusing, inspiring and making people think and act to achieve something BIG for themselves, the BIG change for Ang Bagong Filipino. 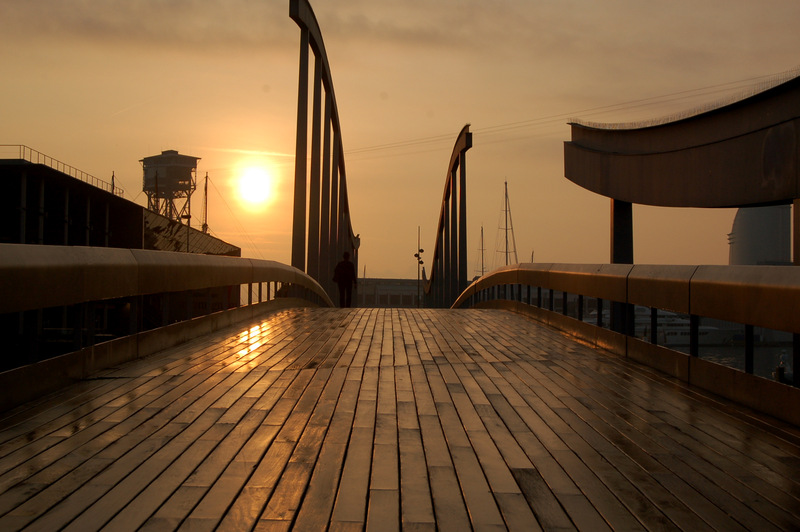 It was in 1986 when Father Avel arrived in Barcelona. Upon his arrival, he found himself facing a dilemma, the Filipino community was like sheep without shepherd. The Iglesia de San Elias, the church that had been serving Filipino churchgoers under the administration of Spanish priests Father Garcia and Father Gines had “died” a long time ago. It was a challenge for him to find his flocks and gather them in one place and be united again. He went to places frequented by Pinoys on their days-off. He scoured the Las Ramblas, Plaza Cataluña, Bracafé and the port area. 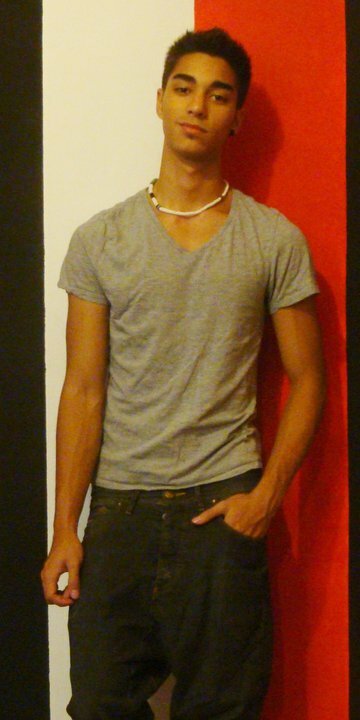 He knocked at Pinoy’s houses, one by one, and invited them to participate in the community. At first, this attempt was met with cynicism. Some doubted his motive. However, after seeing that that Father Avel was only doing this for their interest, they came in droves. Little by little his effort paid off. The Church of Sta. Monica became the church for Pinoys and Father Avel became the assistant priest. The number of attendees grew. The “dying” church slowly resurrected to life. Father Avel has always been committed to the cause of the migrant workers. When he was first assigned in Italy, he served the Pinoys in Rome. There, he learned a lot about the situations of Filipino migrants in his short stint. Now in Spain, he was committed to do something for them at all cause. For six years, the Santa Monica church witnessed the rise in numbers of mass-goers, both Pinoys and non-Pinoys. In 1992, the need for a bigger church was apparently inevitable. Father Avel requested for a bigger place of worship. His petition was granted. The Basilica de San Justo y Pastor was offered following the directive from the bishop of Barcelona who ordered Father Avel to resurrect yet again another dying church. With lively songs and a participative environment, the church came back to life in a short period of time. Attendees swelled ten-folds. 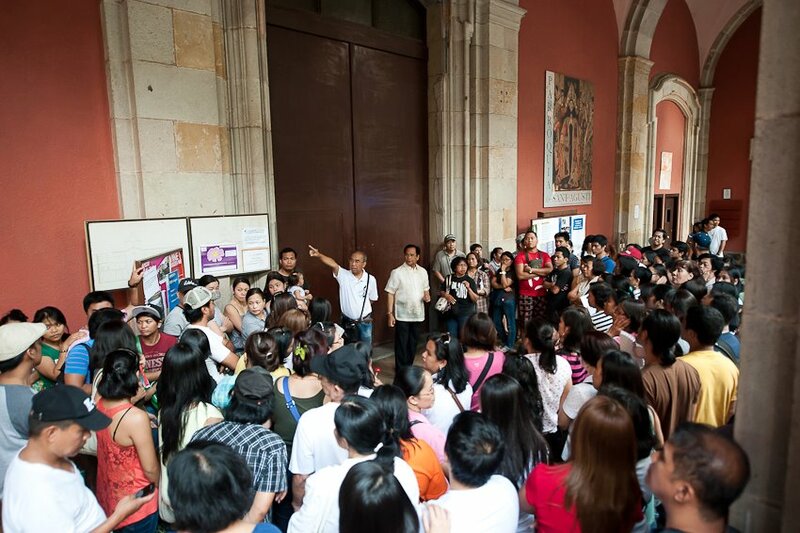 The church also became a refuge for Filipinos, offering services ranging from employment to legal issues. It was also vocal against abusive treatment towards those without legal documents. Aside from providing spiritual guidance to the community, Father Avel was also busy helping our Pinoy seamen. He would visit Stella Maris, a church-based center where spiritual, pastoral and legal services for seafarers and their families were provided for the seafarers. It was also in this period when the Centro Filipino-Tuluyan San Benito was founded. 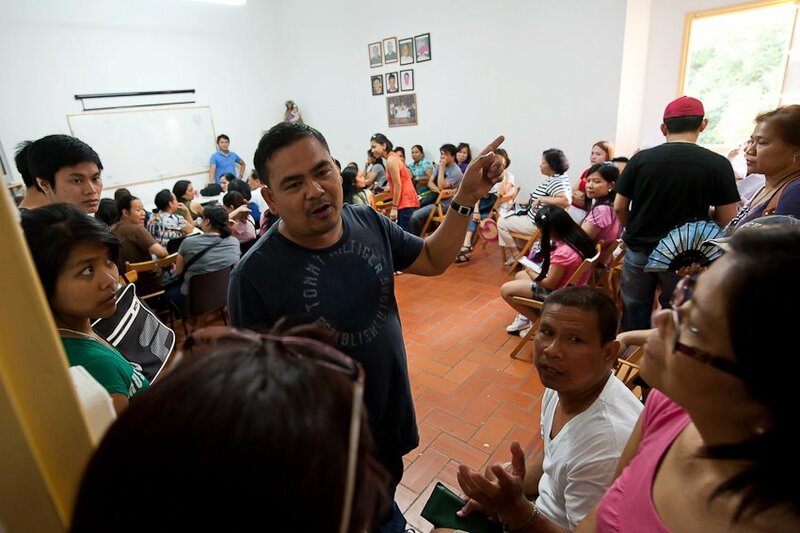 Under the supervision of the Benedictine sisters, the Centro Filipino worked hand in hand with the church to protect the rights of Filipino migrants and seafarers in Catalonia. 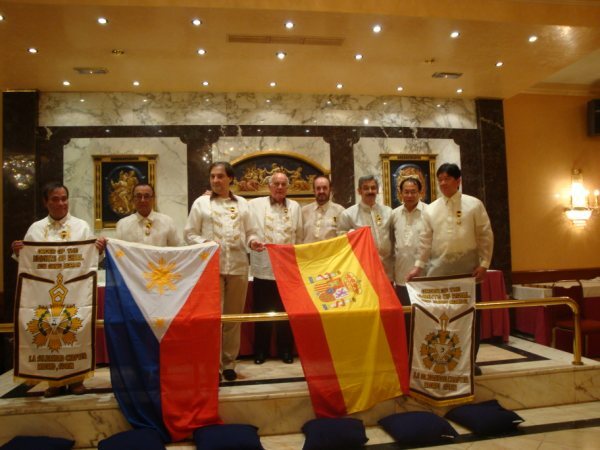 Later on, the Samahan ng mga Migranteng Pilipino sa Barcelona (SMPB) was formed. Once again, the problem regarding space became a challenge for Father Avel. He had to look for a much bigger church to accommodate the dramatic increase of churchgoers in Basilica San Justo y Pastor. He had his eyes on another dying church, the Iglesia de San Agustin. Previously, the Archbishop of Barcelona had promised him to give the church as a personal parish to the Filipino community. But before making good his promise, the archbishop died. His successor was not that keen on fulfilling the standing promise made to Father Avel. In 1996, Father Avel already started with the paper works to have the church. 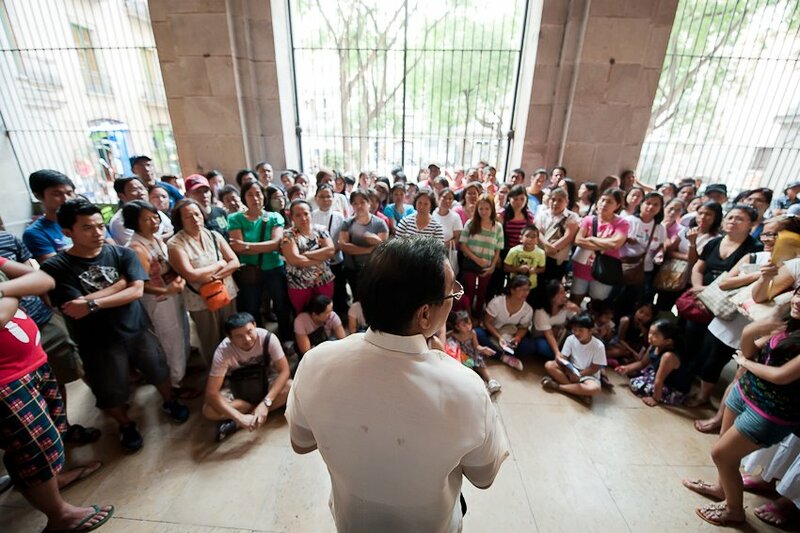 It took him a long time to convince the church of Barcelona to give the Iglesia de San Agustin to the Filipinos. The Spaniards were worried that by granting the Filipinos their own parish, the effect would be a ghetto-like existence where Filipinos would no longer integrate, hereby alienating itself to its host country. The year 1998 was a significant year for this undertaking. Father Avel took advantage of the historical importance of the said to persuade the Catalan religious leaders to grant his request. 1998 was the 100th year of Philippine independence from Spain. He pointed out the parallelism of this historic event to his appeal. Father Avel was not alone in his battle for a personal parish for the Filipinos. With the unwavering support from the Catholic Bishops’ Conference of the Philippines, his request gained momentum. His effort was also recognized by several Spanish non-Spanish civic organizations. That same year, he was the head of the municipal council for the migrants in Barcelona. With 16 votes in favor and 4 who voted against it, the Church of Barcelona granted the request of the Filipino community to finally have its own personal parish. Although, there was a tiny condition in its resolution where the left side of the church belongs to the Filipinos and the right side to the Spanish, Father Avel was very pleased with the turn of events. It was on September 27, 1998 when the first official mass was celebrated. The same day that San Agustin church was brought back from the dead. 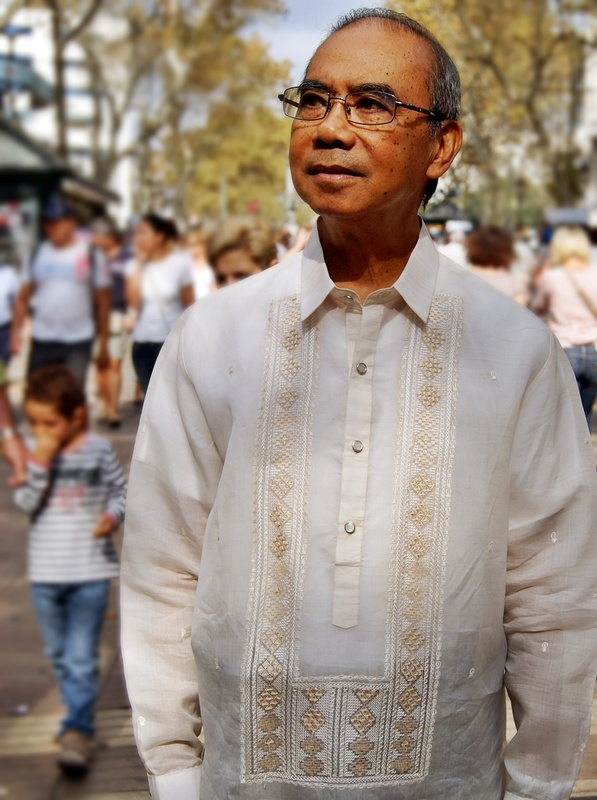 After a year, Father Avel decided to go back to the Philippines. Was there a time where he felt he wanted to give up? Last year, after almost ten years of being away, Father Avel decided to come back to Barcelona and became once again the Parish priest of San Agustin church. In his second coming, he still have dreams for the Filipino personal Parish. 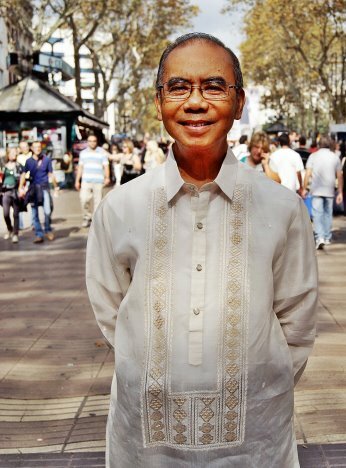 Whether he decides to stay or go back to the Philippines to retire, Father Avel’s legacy lives on. If it were not for his vision and his efforts, we would not have been enjoying the freedom and equality we are benefiting right now. Yes, we could have a Filipino priest, a mass in Tagalog, but a personal parish like the San Agustin Parish that we can call our own, that would not have been that sooner. As a priest, a friend, a brother, a father or a grandfather, what Father Avel has done will always be a significant part in the history of Filipinos in Barcelona, and the whole of Spain. He will always be remembered as the one who came, the one who searched and the one who gathered. -Tanatorio de Sancho de Ávila, Calle Sancho de Ávila, 2, Barcelona, on May 7 and 8, from 8 a.m. to 10 p.m.
-Iglesia de San Agustin, from May 09, Thursday, 4 p.m. to May 10, Friday, 10 a.m. An overnight vigil will be held. His remains will be flown home to the Philippines. 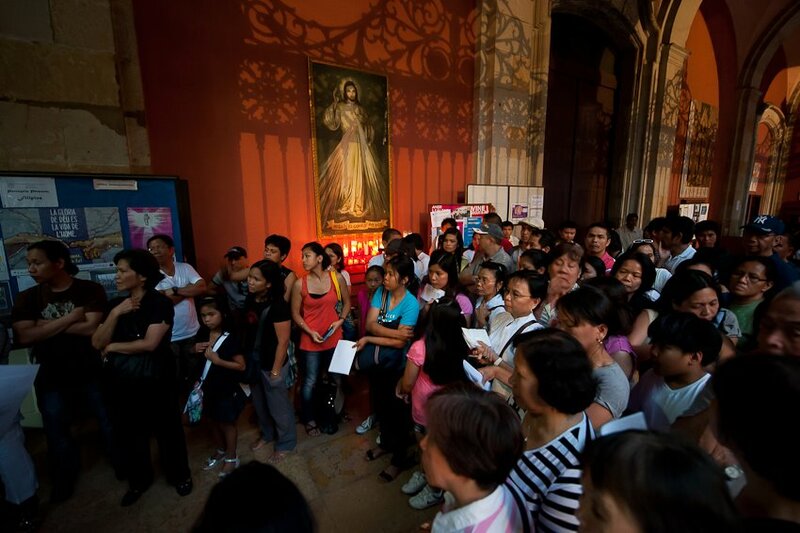 We, from Ang Bagong Filipino, join the Filipino community in Barcelona and all the migrant communities around the world, in praying for the eternal repose of Fr. Avelino Sapida. Rest in peace, Father. Sa sunud-sunod na balitang lumabas sa umanoy pekeng plane tickets dito sa Barcelona, nangangamba ang marami, at nagnanais malaman ang paraan para makasigurong totoo ang plane ticket na binili, nang sa gayon ay hindi maunsyami ang bakasyong pinakahihintay matapos ang mahabang panahon na pagtatrabaho at pag-iipon. 1. E-ticket number. Kapag fully paid ka na, dapat lamang ibigay kaagad sa iyo ang plane ticket na may e-ticket number. Hindi sapat ang papel na may booking number at seat number, reservation number o confirmation number o kung anu-ano pa, ang kailangan ay ang plane ticket kung saan nakasaad ang iyong E-TICKET NUMBER. Matapos makuha ang e-ticket number, maaaring iverify ito sa website ng airlines o tumawag para masigurong totooo ang number na ibinigay sa iyo. 2. Resibo. Importante ring manghingi ng resibo. Ang resibo ay kailangang may stamp ng travel agency at NIF. Huwag mahiyang humingi ng resibo kahit kakilala, kamag-anak o kaibigan pa ang nagbenta sa iyo. Ito ang katibayan mong nagbayad ka. 3. Opisina. Tiyaking may opisina ang nagbenta sa iyo ng ticket. 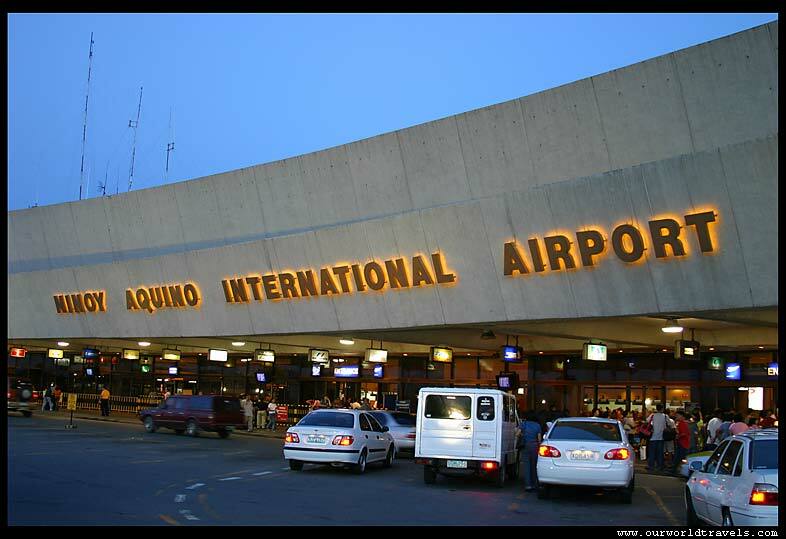 Dagdag pa ng Spain Travel, ang mga awtorisadong mag-issue ng plane tickets ay ang mga travel agencies na may nakapaskil na IATA o International Air Transport Association sa kanilang mga pintuan. Kung peke ang nabili mong ticket, sana ay huwag ng umabot pa sa ganito, huwag palagpasin ang araw, agad-agad magtungo sa Policia at magsampa ng reklamo. Someone once said “I’ve spent half of my life here in Spain”. Two days after, he left this world – never to return. His wish was to write about his latest trip and send it to Ang Bagong Filipino. Who would have expected it would be his last? Mr. E came to Spain in his youth with high hopes of making it big in Spain, seeing what-have-you in many countries while learning about them, and as he had honed himself, serving as a guide to many of those who wished to see the wonders of Spain and Europe and, of course, promoting the beauty of the Philippines and warmth and hospitality of its people. He was a man of God and a master of public relations with solid connections to several high officials of the Philippine government and the Foreign Service. He was even awarded a Presidential Order of Merit in recognition of his professional dedication and for being among the prominent ones. Credit given to his original research was understated. His work in gathering together the descendants of “Los ultimos de Filipinas”, a group of Spanish soldiers who bravely fought and defended their post in Baler (now the capital of Aurora province) almost a year after Spain lost the Philippines to the United States, became the basis for the celebration of the first Philippine-Spanish friendship day on June 30, 2003. 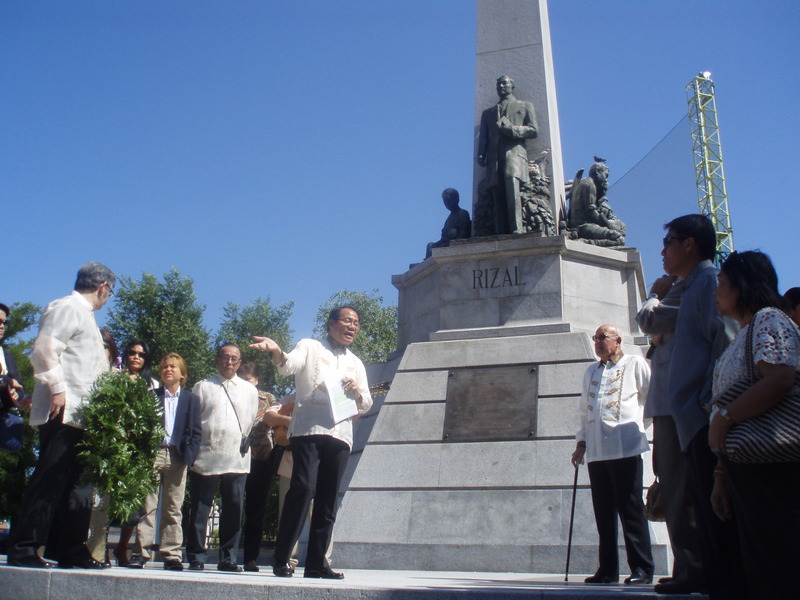 It was Mr. E who visited each of the concerned families and made friends with present mayors and leaders of the cities where the soldiers came from, thereby tracing their origins and linking them to a network of people interested in moving Philippines-Spain relations forward. Mr. E’s research delved into the intricacies of historical details and genealogical issues and finally he presented them to people who showed great interest in his project. It eventually intensified awareness on the significance of the siege of Baler among the Filipino and Spanish peoples. The story of the Los Ultimos de Filipinas even inspired a movie in the Philippines which gathered numerous awards and honors. I first met Mr. E nearly a decade ago in one of his organized trips to the outskirts of Madrid, together with other Filipinos interested in seeing more of Spain. He was jovial, inspiring and meticulous (especially in observing the tight schedule) during the excursion. It made me wonder about his keen interest in establishing links between cultures as diverse as that of the Philippines and Spain and he even offered to do the same for my Latin American friends. His ardent devotion to promoting the Philippine culture must have been a personal commitment to pay back a scholarship he earned when he came to his second mother country. I was surprised to see him going to a school one day to cast his vote for the Spanish elections. He was 100% Filipino to me except that he carries a Spanish DNI. 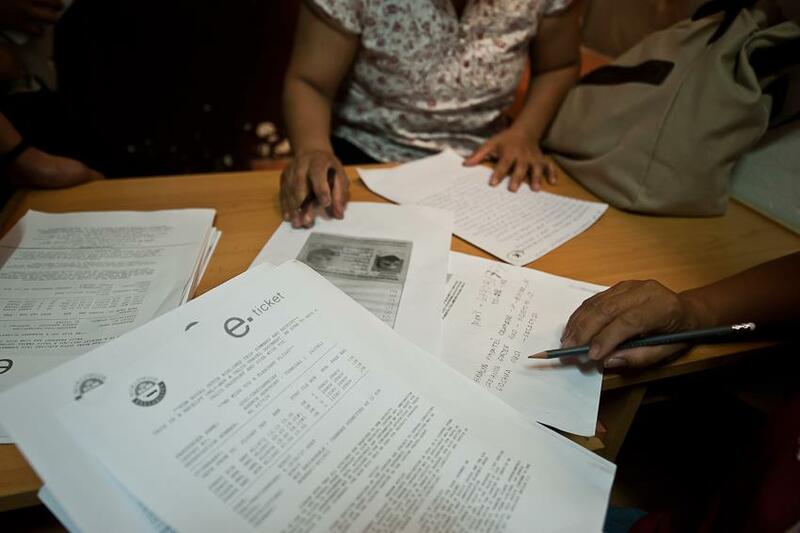 Despite acquiring Spanish citizenship, he remained Filipino at heart and mind. In his last trip before his journey to the after life, he was ecstatic in explaining the past events associated to his beloved Philippines while we hit the road to a city with a Santo Niño on top of one of its church, a road called Paseo de Filipinos and a seminary-museum holding the biggest collection of ivory statues of saints – with attribution to the Philippine status of being the only predominantly Catholic nation in Asia. It was sad I didn’t concentrate on his other words for I was busy taking pictures of the surroundings. I wasn’t aware Mr. E was suffering. After the trip I bid him goodbye and thanked him for guiding us through a wonderful outing. It was his last – a really memorable one for all of us. But I just saw the sun two minutes ago, didn’t I? In its place, downcast clouds hover above. A few drops have already made their landing. Crossing the Cathedral Square while increasing my pace, I hear my name being called. Five kababayans are standing on the Cathedral steps beckoning to me to come near them. They need a hand. Somebody shouts as soon as I take their camera and aim my shot. “Voltes V pose tanan ha!” On cue, I find myself in front of five lady warriors ready for battle. The ominous headlines of Spanish newspapers seem not to have dampened their spirits not like most of the locals. Spain’s economy has fallen back into recession in the first quarter of 2012 and conditions are not expected to improve soon even if the Spanish government has finally, though hesitantly agreed for a bail-out. Moody’s has just downgraded sixteen Spanish banks and cuts after cuts are introduced by the government day after day. “One…” I start counting. Joy joins her hands in a gun-hoisting position pointing skyward. She just lost two of her three employers as they now officially join the five million unemployed in Spain and could no longer afford to pay her. Myrna strikes a blowing-the-smoke-off-my-gun pose. She is a bit worried about the closure of the Philippine Consulate in Barcelona which is a big hassle for more than 20,000 Pinoys living in the region. Liza extends both hands sideward taking her aim. She is wary that the Reagrupación Familiar policy might be much tougher in the coming months. Her petition to sponsor her husband is yet to be approved. Ruby chooses a gun-drawing pose. She is concerned about her illegal status. Spanish police are now giving illegal aliens a hard time. Netnet has an imaginary grenade launcher on her shoulder. She is happy that the Catalonian government has defied the new Spanish government policy to exclude illegal immigrants from the healthcare system. “…Two…Three…Patata!” There. Another Facebook-worthy photo that will show their families back home that everything IS okay. They can still send money home, despite the crisis. With all these talks about the crisis, our Voltes V girls choose to look at the bright side. God’s will, they all chorus. And today is their day-off. Nothing can spoil it. No matter how much tantrums the sky will throw, their plans for today will go on as intended. Heavy drops are falling now. I hand back the camera and scamper for cover, leaving them to admire the shot. Ito ang galit na pahayag ni Sheila Hidalgo sa kadahilanang labing siyam na KLM plane tickets na nagkakahalaga ng humigit kumulang 17,000 euros ang nabili ng kanyang pamilya para sana sa pag-uwi ng Pilipinas at doon magpakasal ang kanyang hipag. Noong Hulyo 20, 2012, Biyernes, pumutok ang balitang may iilang pasaherong Pilipino ang hindi pinalipad dahil sa hindi valid ang kanilang KLM E-tickets. Hindi tinanggap sa airport ang mga nasabing tickets sanhi ng hindi pa umano nababayaran ang mga ito. 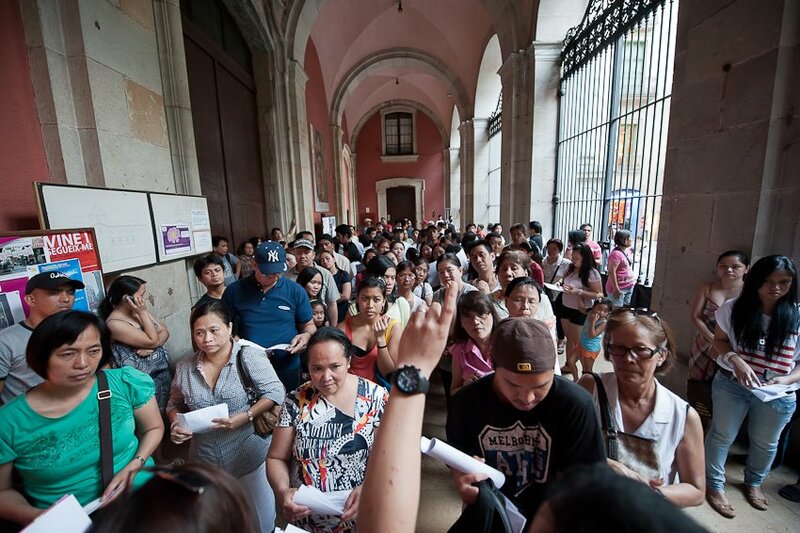 Mabilis na kumalat ang balita sa buong komunidad ng mga Pilipino sa Barcelona at dahil dito unti-unting nakumpirma na maraming tickets pala ang hindi valid. Maraming nagalit, nalungkot at naperwisyo. Agad-agad tumawag si Shiela sa opisina ng KLM para kumpirmahin ang balita. Ayon naman sa ulat na lumabas sa abs-cbnnews.com, pinag-aaralan na ng KLM ang mga hakbanging nararapat isagawa. Matatandaan noong mga nakaraang buwan ay merong lumabas na oferta ang iba’t ibang travel agencies na Pilipino at 680 euros lang (balikan) ang pamasahe pauwi sa Pilipinas at ito ay galing sa KLM. Dahil nga sa krisis at sa mura ng promo, marami ang nakumbinsing bumili. Nabayaran na ng mga pasahero ang kanilang mga ticket sa travel agencies kung saan nila ito binili. Ayon naman sa mga travel agencies, naremit na nila ang pera sa KLM ticket distributor na si Victor Ordoñez Jimenez. Ang hindi pagremit ng distributor sa KLM ng nasabing bayad ng mga travel agencies ay ang naging sanhi ng problemang ito. Tinatayang 700 Pilipino ang nabiktima. Iisa lang umano ang pinanggalingan ng nasabing pekeng KLM tickets at ito ay ang nabanggit na ticket distributor. Inis, galit at lungkot, nais ng mga pasahero na maibalik ng mga ahensiya ang kanilang pera. Pilit namang hinahabol ng mga ahensiya ang nairemit na pera kay Victor. “Ang hirap hirap na ngang kumita ng pera tapos ito pa ang nangyari. Sana man lang maibalik ang pera namin. Okay na kung hindi na makakauwi muna. Ipon ko yun eh. Pinaghirapan namin yun,” malungkot na sinabi ng isa sa mga biktima. Nakapanayam ng Ang Bagong Filipino ang may-ari ng TravelJess na si Jessica Lozano Addatu at ang nanay nitong si Rosel Addatu, isa sa mga travel agencies na nanguha ng KLM tickets kay Victor. Ito ang pahayag ni Rosel. Sa aming panayam sa kanya ipinakita niya ang copy of receipt galing kay Victor na nagpapatunay na natanggap nito ang bayad sa mga tickets na binili sa kanyang ahensya. Sinikap naming kuhanan ng panig ni Victor Ordoñez Jimenez pero hindi pa kami nakatanggap ng sagot galing sa kanya. Noong Hulyo 22, 2012, Linggo, agad na nakipag-ugnayan ang mga biktima kay Fr. Avelino Sapida ng Filipino Personal Parish at sa Konsulado ng Pilipinas sa Barcelona. Sa pamamagitan ni Consul Arman Talbo, nagbuo ang mga apektadong pasahero ng isang grupo upang makagawa na ng nararapat na hakbang at mabigyan ng hustisya ang ating mga kababayan. Tinawag na Task Force KLM Barcelona ang nasabing grupo para ma-report kaagad sa awtoridad ang nasabing pangyayari at maparusahan ang dapat maparusahan. Napiling pinuno ng grupo si Karl Peralta. “Nakikiusap ako sa ating mga kababayan na sana magtulungan tayo. Iisa lang ang laban natin,” pahayag ni Peralta na nakabili ng dalawang ticket. Noong Hulyo 24, 2012, Martes ng gabi, muling nagpulong ang mga apektadong pasahero. Mas marami ang dumalo at nagpahayag ng kanilang sama ng loob. Patuloy pa rin sa pagtitipon ng mga apektadong pasahero ang Task Force KLM Barcelona. Mas malakas daw kasi ang laban kung sama-samang magsasampa ng kaso. Gumawa na rin ito ng Facebook account: TASK FORCE KLM BARCELONA upang mas mapadali ang komunikasyon sa mga miyembro nito. Muling nagpulong ang mga apektadong pasahero noong Hulyo 31, 2012 at sa gabing yun ay binuo ang dalawang grupo: isang grupo na maghahabla laban sa travel agency at isang grupo na maghahabla laban sa direct agent. Pinapayuhan ang ating mga kababayang nagpaplanong umuwi sa Pilipinas na mag-ingat sa pagbili ng ticket. Tawagan ang mga customer service agents ng kinauukulang airlines para malaman kung valid ba ang ticket na nabili. Alamin din kung authorized dealer ba ang pinagbibilhan at parating humingi ng official receipt. Sa dami ng nag-audition, napili ang “half Spanish at proud Pinoy” na si Maverick Gomez na maging bahagi sa isang commercial na tampok ang magaling na mang-aawit na si Kelly Rowland. Makikitang sumasayaw ang naka-blue na polo si Maverick sa 2:09, 2:57, 2:59, 3:18. Matatandaang siya ang champion sa iba’t ibang talent competitions sa Barcelona. At ang napili ring magrepresenta ng Andorra at Spain sa TFCKat EuroFinals. 3. 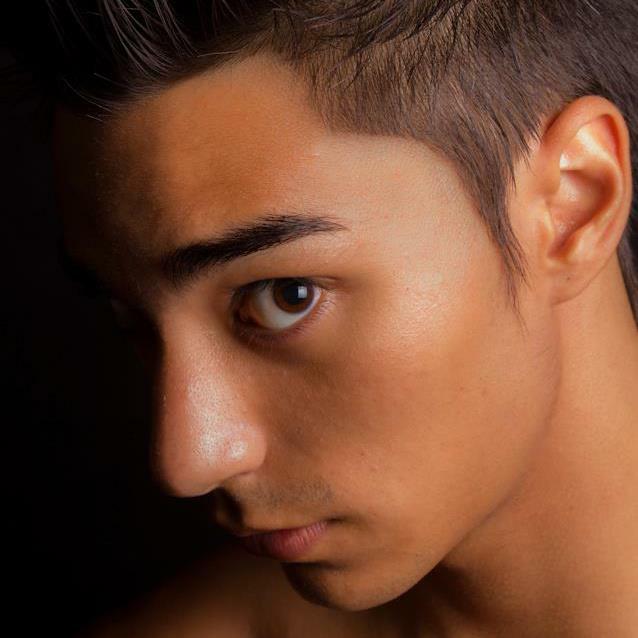 “LIKE” / THUMPS UP to Maverick’s Promotional video. We only have one (1) chance to vote so “LIKE” only Maverick’s video among the 4 finalists. Another way to vote is through TFCKAT site, http://tfckat.com/angmgasumikat#EU and like Maverick’s profile.